Advanced Announcements Driver - Chowmain’s Advanced Announcements driver expands the announcement agent by providing integration with web based text to speech engines. 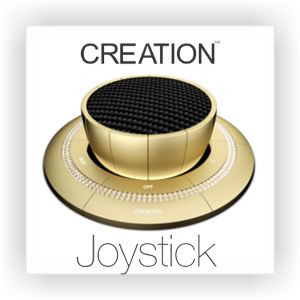 This gives you futuristic dynamically generated voice notifications over your Control4 system without any additional hardware. Imagine waking up to the your home telling you the weather or being notified about how many phone calls & doorbell presses have happened whilst away. Event Logging Driver - The simple to use event logging driver stores programmed actions in a file located on the controller. 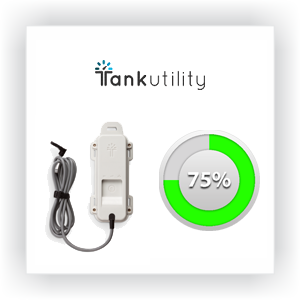 This can be used to monitor the log access to the home, activities within the home, troubleshoot problematic systems and more. This data is viewable via an inbuilt web browser or via a network folder location. Experience Buttons Suite - The Chowmain Experience Buttons Suite adds various programmable pulse/toggle/radio buttons to Control4 for use under the Watch, Listen, Security, Comfort and Services menu's. Find My Remote Driver - This simple find my remote driver will add a button to your Control4 touchscreen which when pressed will make your SR-250 or SR-260 remote beep. Google Home - We show you how to integrate the Google Home personal assistant into your Control4 home. Say "Ok Google" to start controllin the home of the future today. FREE Hebcal Jewish Calendar Driver - The Chowmain Hebcal driver for Control4 imports data from Hebcal.com. This driver helps by automating detection of Jewish holidays and your standard weekly Shabbat schedules. Notification Suite - Chowmain's Notification Suite of drivers offers 3 notification drivers in one package which enhances the way Control4 informs you of events that happen within your home. Drivers include email SMTP, Push notifications for windows 10/ios/android/pc/mac/linux with camera snapshot uploads. Use it for doorbell camera photos, alarm system notifications and more. IFTTT Maker Driver - The swiss army knife of drivers adds two way IFTTT communications to Control4. Adds Amazon Echo, Push Notifications, SMS's, Phone calls, Tesla, BMW, other connected cars, twitter, emails, facial recognition, geofencing/location and so much more to Control4. Saturn South - The Saturn South zigbee drivers for Control4 adds retrofit energy monitoring and management to your smart home using the Zigbee based CT Clamps. TCP Command Driver - This driver allows you to fire simple TCP/IP commands and HTTP URLs from a Control4 programmable action. This is useful to initiate camera triggers, NAS shutdowns and to make quick one off TCP/IP based AV device drivers. FREE Control4 Wallpaper - FREE Control4 Wallpaper for your Control4 touchscreens and onscreen user interfaces. Learn how to make wallpapers and how to install them on your system. Variable Manipulator driver - This driver provides variable manipulation capabilities for use in Control4 programming. This can be used to add multiple variables to a string or to perform more complex mathematical equations using one or more variables. This makes Control4 programming more flexible.